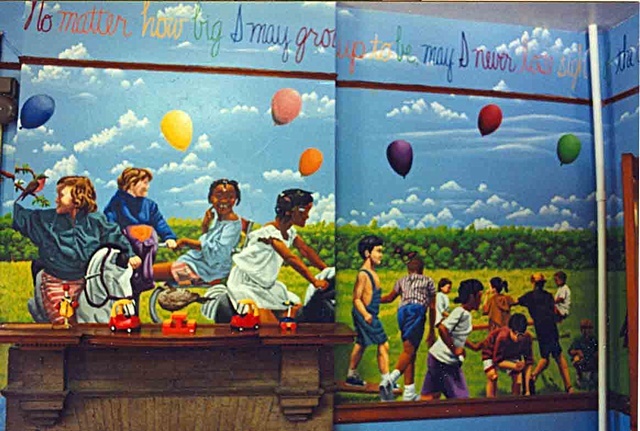 Detail of a mural that covers the upper portion of three of the office's walls. The entire mural is approx. 6' X 50'.